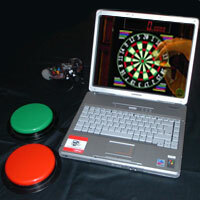 Connect disability standard switches to your PC to play games, control CDs, DVDs and more. Three different versions to choose from to suit your needs. Comes with a free CD of switch utilities and games. 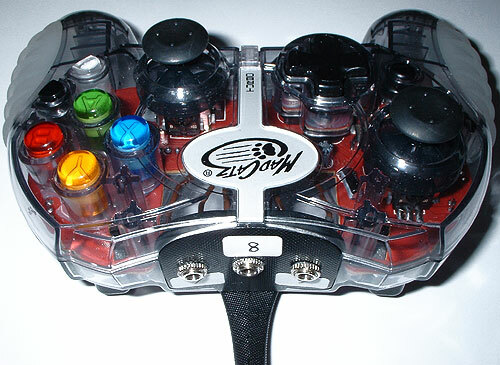 USB plug and play adapted MadCatz joypad. Ideal for disabled gamers using 1, 2 or 3 switches. Assign any key press or mouse function to the switches. Play most games that can be controlled by the keyboard. MAME compatible. Play classic arcade games using switches. Comes with a free helpful CD full of switch utilities and games. N.B. Switches and laptop not included. E-mail for more help. Switch Gaming - Free single switch games, ideas, game reviews, links and the campaign for greater access in video games. D.I.Y. 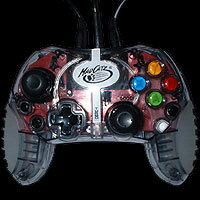 - Step by step guide for adapting this MadCatz Joypad.